Steel Double Ended Etching Needle with Cork Handle- This etching needle features a comfortable cork handle in the center. 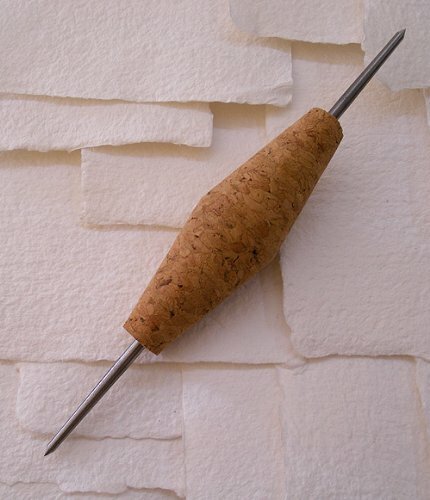 The cork makes this a more comfortable needle to hold. Both ends are pointed steel and will hold their point for use after use. The steel can be sharpened with a sharpening stone if you would like a sharper tip. A very versatile tool; this can also be used as an awl and a scribing tool for other art media.